Pirates are taking over at Woodlands Family Theme Park from 9th – 15th April! To get into the Pirate spirit any child over 92cms that dresses up as a Pirate will get a FREE RETURN TICKET to come back to Woodlands for a second day out in Devon. Budding Pirates can enjoy all our amazing rides and attractions that Woodlands Family Theme Park has to offer but we think their favourites will include our swashbuckling Swingship, the spinning Tugboat, the 3 fastest Watercoasters in the South West and when they dig for treasure in the sand pits. – The free return ticket is available to children over 92cms who are dressed up as a pirate and will expire on 20th May 2018. – Tickets are issued as you enter the park on the day you visit. We are unable to issue tickets once you have left the park for the day. – The return child ticket is not valid on the day you come to the park dressed as a pirate. – This offer is not valid for infants under 92cms or Annual Pass Holders. – We are unable to assist customers with, or replace tickets that have been lost. 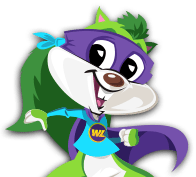 – Don’t forget your child’s ticket when you go to Woodlands– it must be presented upon entry! – This fantastic offer can only be claimed between 9th – 15th April 2018. – No photocopies or photos of tickets will be accepted. – Please check opening times carefully before travelling as on certain dates the park operates at off peak term time when not all the rides are open. – Tickets are date specific and are only valid on the date which is booked. – We are unable to accept tickets on different dates at the entrance kiosk. – To change the date on your ticket: This needs to be done 24 hours before your visit and a £5 charge applies. You will need to call Woodlands Reception Team on 01803 712598 who will be able to change your ticket for a fee of £5 per booking number.